Kickstart your journey to health with Everyone Active. Offering a range of membership plans across the UK, Everyone Active is committed to helping you reach your fitness goals, whatever stage you’re at! Make the most of an Everyone Active discount code from us and you can save while you sweat. With top of the range facilities, classes and activities on offer you’ll wonder why you didn’t get started sooner! Weight training is one of the most effective ways to improve your overall health, tone up and slim down. Adding just two weight training sessions per week to your workout routine can reduce your body fat by 7%. 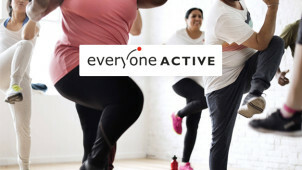 An Everyone Active membership lets you choose from fitness centres all around the UK, so you know you’ll find a gym with facilities that will work for you. Browse the centres online to view the activities available, and get pumping those weights!